Utilities are continually faced with the challenge of balancing improvements to existing business processes and exploring new business models. How can you maintain reliability and at the same time create the agility necessary for innovation? 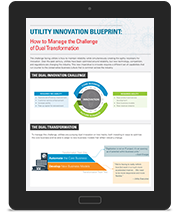 Oracle Utilities commissioned Navigant Research to dive deeper into this innovation challenge for utilities. 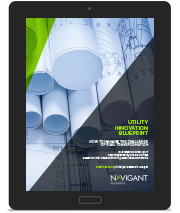 After speaking with utility executives across the globe, we developed the Utility Innovation Blueprint to help guide your own innovation initiatives.